Remember the days of being young and carefree? You very likely never worried for a moment about a wrinkle on your face or an unusual sag under your chin. As the years wear on, though, our skin loses the elasticity it once had. Whether you just noticed the first signs of crow feet or you have been battling fine lines on your face for many years, the right skin care can go a long way in rejuvenating your skin. As a local Bee Cave skin care clinic, we are passionate about helping our patients find the youthful skin they desire. From Botox injections to health-giving facials, we provide an array of skin care services geared towards restoring a beautiful glow to your face. Book an appointment today to speak with a physician about how you can restore aging skin to health while ridding your face of wrinkles, sags, and fine lines. 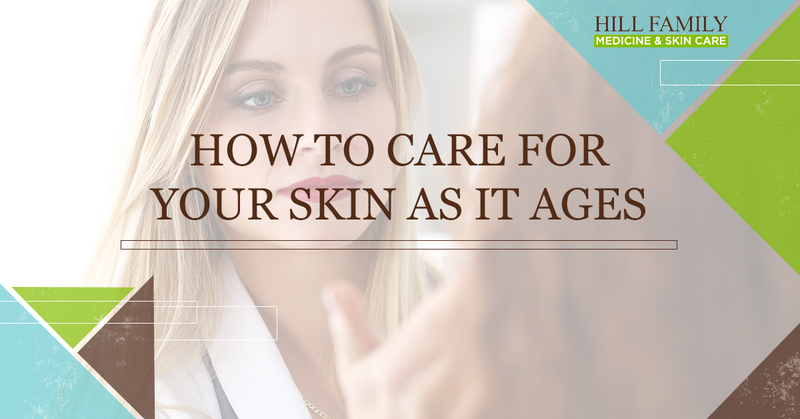 And check out the following tips on how you can care for your skin as it ages. One of the first things that you need to keep in mind is that moisturization is vital to the health of your skin. When your skin is not moisturized, it will feel rough and show signs of aging more rapidly. Even if you currently have beautiful skin, you should begin a daily skincare routine that involves moisturizing your face. Not only is it worthwhile to invest in a quality facial moisturizer, but you should also be careful of actions you might be taking that are drying out your skin. For example, harsh soaps or washing your face too frequently can cause the skin to dry out faster than normal. Certain medications can cause dry skin as well. A doctor at our skin care clinic can help assess the root of your dry skin and can recommend a quality moisturizer to combat natural aging. The sun is one of the number one causes for skin damage. Harsh UV rays can cause your skin to lose elasticity and, in some cases, can lead to skin cancer. Make sure that when you spend time in the sun, you take precautions to protect your skin. Wearing sunscreen with a strong SPF is a necessity in the Texas heat. Not only should you apply sunscreen liberally to exposed skin, but you should also invest in the right apparel. A wide-brimmed hat can go a long way in protecting your face from harmful rays. While sunbathing can be relaxing and we all love a good summer tan, be sure you are not overdoing your time in the sun and that when you are outdoors you are taking necessary measures to prevent skin damage. Stress is a contributor to countless ailments and can lead to premature aging of your skin. Furrowing your brow in worry is only one of many ways that stress can cause you to develop permanent wrinkles in your face. Take time to relax and invest in self-care. Whether that means starting every day out with yoga or spending a weekend with friends at a local spa, make sure that you invest in healing for your body. Rest and relaxation go a long way in keeping your skin youthful and supple. Most of us are well aware of the risks that smoking carries, most notable being lung cancer. However, smoking can lead to an array of other issues, including damaging your skin. Long-term smoking can cause wrinkles around the mouth, and over time, this damage can be harder to reverse. If you need help with smoking cessation, our clinic offers this service as well. We can help you find an effective plan for putting down your last cigarette once and for all. Finally, in order to give your skin the best chance at staying healthy, visit your local skin care clinic in Bee Cave. We can assist you in creating the ideal plan for your skin’s unique needs. We offer an array of skin care services including skin tag removal, skin cancer screening, Botox injections, and more. Whether you are hoping to get rid of some unwanted wrinkles or you have a serious concern about the health of your skin, we are here to assist you. Book an appointment today or reach out to our clinic to learn more about the skin care services we provide. The sooner you take charge of your skin’s health the better chance you have at retaining youthful and healthy skin.